For the most recent updates and news plus dramatic photos and videos please click here to go to my Vernazza flood page. These shots found on Arbaspaa’s blog (a tour organizer based in Manarola) gives you a better idea of the dramatic changes in the flood aftermath. To few the rest of the incredible pictures please go to their blog above. Video of flooding through the piazza. Video showing the entire first floor of the main street buried This one made me cry. The initial cleanup This gives you a clear idea of the hardiness of the people and how difficult a project they have had thrust upon them. Thank you all for your kind words, the people and the village has certainly touched many of us. I will continue to pass on the encouragement to them. Speechless. 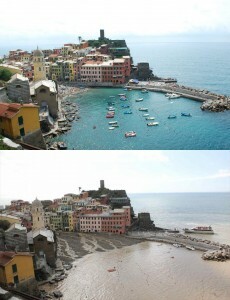 Wife and I were in Vernazza for 3 days last August 2010. This is really disturbing. I was in Vernazza for 5 days in September. It was one of the most beautiful places I have ever seen. A quaint little town with great food and amazing people. I am so sad for them. Myself & two friends were in Cinque Terre the first of September 2011. I am shocked and so very sad to see what has happen to such a beautiful place. Recover with God speed. I saw some of the YouTube videos and was dumbstruck by the power of the flood. I know it looks awful now, but the before and after pictures here gave me some hope. As bad as it looks, it does appear to be repairable. I truly hope that this beautiful place I love can be put back together. This is heartbreaking. I live in Brisbane, Australia, when I am not in Italy. We had a huge flood in January. 28,000 homes were flooded, including a house we own. I have seen first hand the devastion floods can cause. We faced the same clean up as the poor people of Cinque Terre are now facing. Our house is almost ready to be lived in again, 10 months after the flood. We were lucky, we had insurance, but many others were not so lucky. I covered our experience on my blog. Look on the January archives if you are interested. My husband & I were there 11 days before this tragedy occurred. 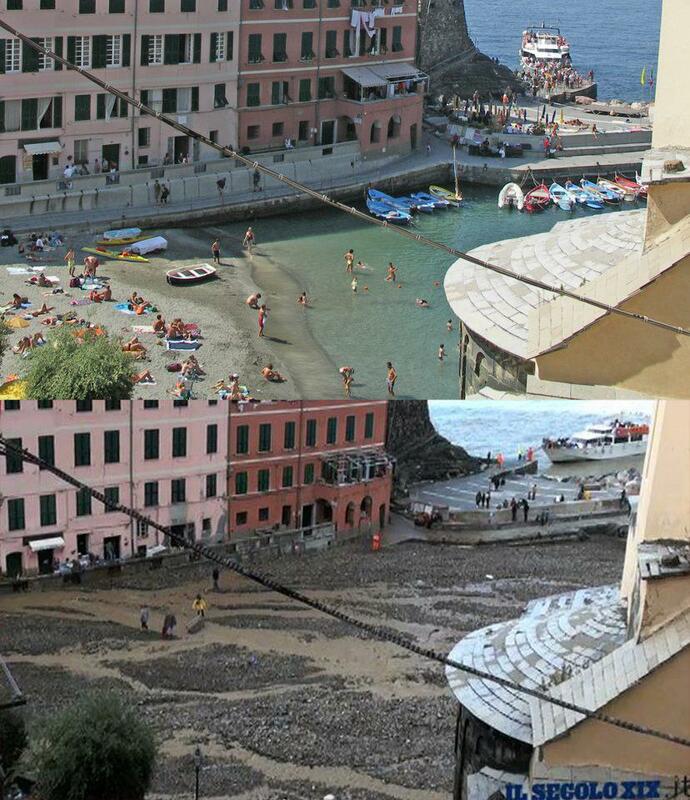 We were fortunate to have seen Vernazza before this happened. It was a beautiful place. We hope it can return to what it once was. God bless the people who are still there. Our hearts are with you.